The unbridled capital, Berlin holds a reputation of a city where everything is possible, where its own scars and voids become a playground for creativity and experimentation for everything from the arts to politics and from architecture to philosophy; a carte blanche of unlimited possibilities. The new urban art festival Berlin Unlimited ( a project by Urban Transcripts, collagelab and Guerilla Architects ) is aiming in bringing fields like architecture, urban design, theory, research, arts and creative media in an interdisciplinary way togther for reflecting, on the limits and the limitations of the city of Berlin. 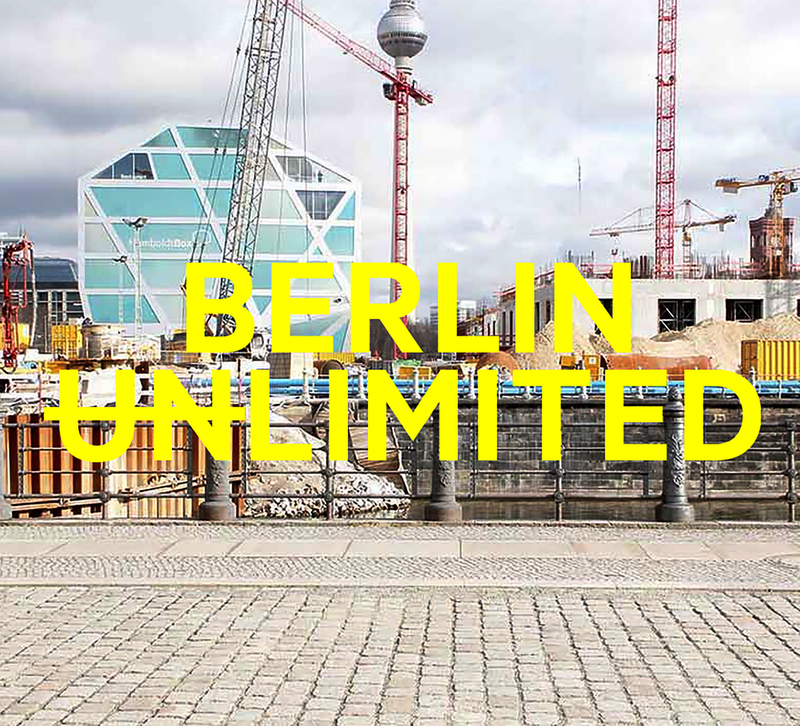 If it is in Present, in the past or in the future…is Berlin really limited or as the festival is stating unlimited? What are the potentialities of this new Berlin and what are the roles and the rules in its new urban play? What future visions are replacing the ideologies of the past? Have its inhabitants found the freedom they were looking for or is an idealized representation disguising much more complex and sometimes conflicting urban realities? During the festival a mix of a symposium, exhibitions, workshops and debates, film screenings and guided tours as performances are the essentials in exploring the urban space and trying to give an answer for the open question if Berlin is (un)limited. 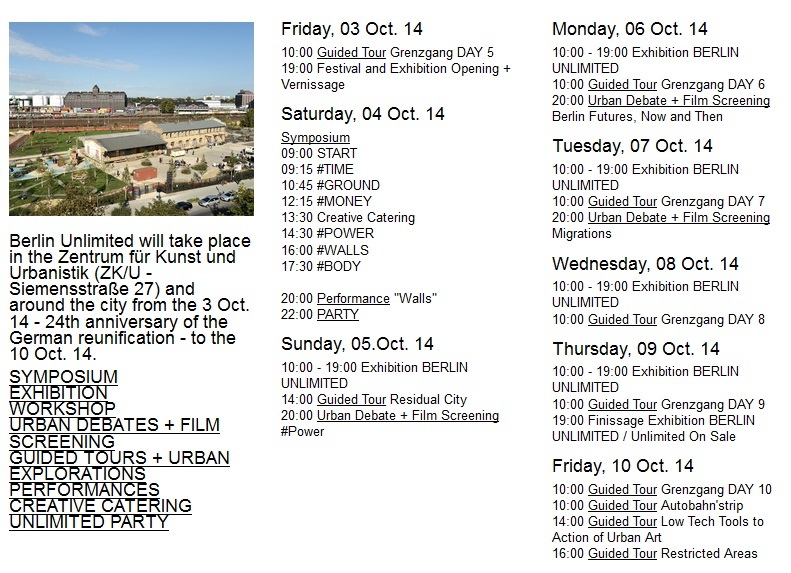 Urbalize is recommending out of the program the Urban Debate + Film Screening section: On the 6th October with the topic of “Berlin Futures, Now and Then” hosted by urbanophil and mikromakrowelt and on the 7th October with the topic “Migrations” hosted by stadt:gestalten and mikromakrowelt and urbanophil.